I hope you’re comfortably sitting on your sofa, dear reader, because we’re starting this huge, bookmark-it-feature off with a very personal question: Do you look your age? I know, what a way to start a blogpost! As a 44-year old who’s had zero work done (but eats a lot of cookies), the question may not be that relevant, but today, we’re talking about anti-aging, or as Maja prefers to call it: graceful-aging skincare. This is not about a new product or an interview with a brand expert. This is a talk with a very informed Hey Pretty reader, who is a true ace when it comes to skincare! This is Maja. She’s the same age as me, and she’s a doctor. We met through this blog, which Maja reads and comments on diligently, much to my great delight. Pretty soon, I noticed that Maja really knows a lot about skincare and we started talking about ingredients and new skincare launches. In the beginning, it was only online… and later in real life, over a cup of coffee. Since our talks are always lively and informative and I’ve already learned a lot from her, Maja has kind of become my own personal skincare guru. She’s not only a doctor, but she’s also a true lover of beauty and skincare products, and has tried a huge range of things on herself. In short: She really knows her stuff! Which is why we decided to gather our thoughts and experiences with potent actives, the result of which you’re about to read. «Graceful Aging with Actives» as Maja calls the use of powerful ingredients that have a visible impact on our skin. And make sure to refill your cup of coffee, because our nerdy skincare talk is about to begin! Steffi: The term «Skintellectual» fits you perfectly, Maja. What’s your philosophy in terms of skincare? Shall we sing the sunscreen song together? If I could give one piece of advice to my younger self, it would be to wear at least an SPF 30 every day. We recently decided to do this feature together, because you’ve done a lot of research on and tried out various products, especially ones with so called «actives». And you also give skincare advice to a lot of your friends. I’ve got to say, I’m fascinated by how you approach your own skincare. It’s a pretty well-thought-out plan, isn’t it? I know people who say that they try to not use their favorite cream too much, to prevent their skin from getting used to it. For me, that’s similar to saying you don’t want to go to the gym too much, because you fear getting stronger. To achieve great results like this, your best friends are so-called actives – highly potent ingredients such as retinoids, vitamin C as well as AHA/PHA acids. To help you navigate these three groups, Maja and I whipped up a summary! Retinoids stimulate collagen synthesis and activate cell division, which naturally slows down as we age. The effects of regular retinoid usage are smoother, plumper skin, less wrinkles and less pigmentation. Products (creams, serums etc.) with retinol, retinyl palmitate or retinaldehyde are available without prescription. Some formulas (such as Airol, which contains highly potent tretinoin) are only available at the dermatologists. Application tipps: Retinoids can irritate the skin, especially if you’re new to them. That’s why you should start with weaker formulas and maybe even use them only once or twice a week, until the skin is used to it. 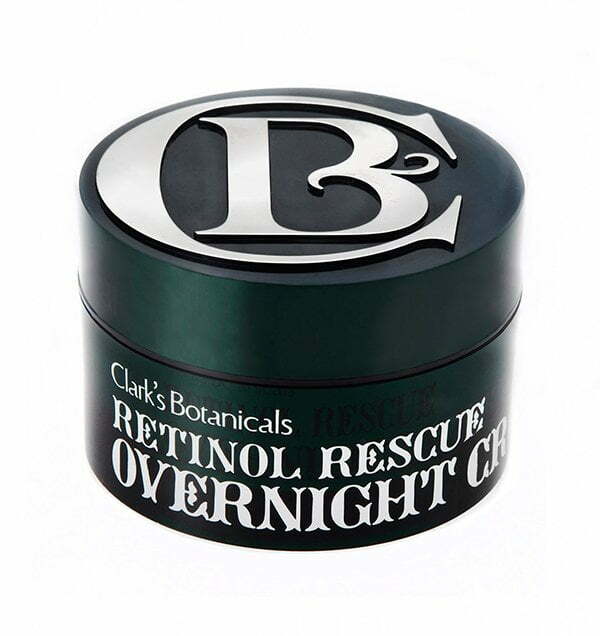 Retinoids are best used in the evenings, because most products aren’t particularily light-stable. Oh, and you shouldn’t use them during pregnancy or while you’re breastfeeding. Vitamin C is a highly potent antioxidant. It neutralizes free radicals in the skin – these are molecules which are created by UV rays as well as heat and they support skin aging. Vitamin C is ideal for skincare because it’s inexpensive and easy to use. 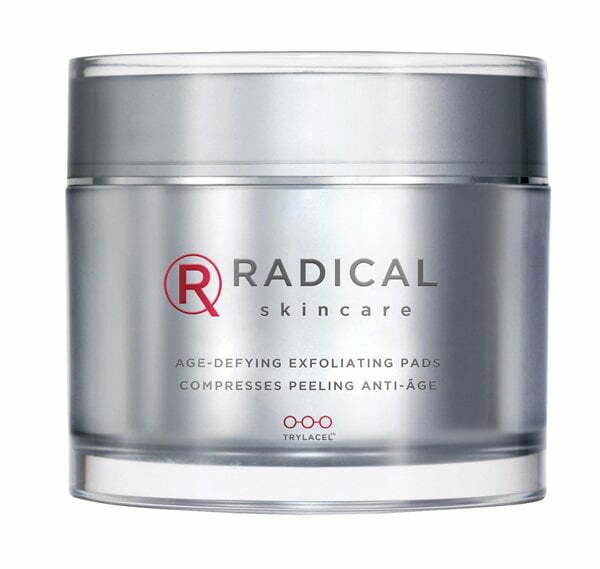 It increases collagen and elastin synthesis and therefore counteracts wrinkles. Also, it lightens pigmentation. Vitamin C works very well in combination with vitamin E and ferulic acid and is anti-inflammatory. AHA- and PHA-acids are liquid peels, which help the skin shed their top layer and reveal smoother skin underneath. They also activate collagen synthesis and help with wrinkles, pigmentation and dull skin. Common AHAs are glycolic acid, lactic acid and malic acid. Some of you may know the fruit acid treatment at the beauticians: That’s that slightly tingly mask that’s usually applied, and then removed pretty quickly! Those who don’t tolerate AHA-acids can try PHAs – polyhydroxy acid – which are gentler on the skin. Steffi: So that’s the «holy trinity» of actives, because they’re very potent and also allrounders: retinoids, vitamin C and AHAs. Can anyone just buy three of the recommended products and get started? Maja: «Basically, anyone who has healthy skin can start using actives. The tolerability (or skin compatibility) of each product depends on the concentration of the actives, on the formula, on the pH-level and also on the use. That’s a good keyword: How can you tell if your skin can’t tolerate a product? I’ve been using The Ordinary’s lactic acid serum and have noticed that I can only use it every second day, because my skin keeps peeling! «Yes… that can happen! You can get dry or red patches after using a product for the first time. That’s why I would recommend only using potent formulas once or twice a week. It’s like any training program: Start slowly and build up. And by the way: With the use of acids like these, over-exfoliation can also become a problem. How do you as a «Skintellectual» choose your skincare products? «(laughing) I’m one of those super-informed customers that’s looking for scientifically proven actives. Most of the time I find them with niche brands, which list the concentration of the active and focus on practical packaging. For instance, I don’t like it when a product comes in a jar: it’s rather unhygienic to get the product out with your fingers and strongly prefer a pump. And I pay attention to whether a retinoid or vitamin C is protected from light and oxygen. Brands that do that well are Alpha H, Paula’s Choice or Drunk Elephant, to name a few. What bothers you when it comes to how skincare products are marketed? That basically means that the consumer has to invest a lot of time and effort to be well informed and make the right choices before purchasing a product. Are there any big skincare brands you still like and buy? What would you recommend to a friend (or Hey Pretty reader) who’s trying to find the right skincare? «First, you have to find out what your main concerns regarding your skin are. What bothers you the most? For example wrinkles, pigmentation, large pores or sagging skin. Dull, tired skin or general loss of elasticity can be what I’d call secondary concerns. After you’ve defined your skincare goal, you chose the actives. For dry skin, I would recommend using a lower concentration of actives and a rich formula such as oil. Oily skin, on the other hand, can tolerate a higher concentration of actives – but in lighter formulas, such as gel. What would a skincare regimen using actives look like? «I would recommend getting your vitamin D level checked and (depending on the outcome) taking supplements. Because we (should!) use sunscreen daily, most of us tend to produce too little vitamin D ourselves… there can also be other causes for a low vitamin D level such as being overweight or the taking certain prescription drugs. Okay, it’s time for a last skincare tip! What’s really important? «Don’t go crazy over anti-aging. There’s far more important stuff in life, and skincare is a luxury, which should be fun. The bare minimum of cleansing, moisturising and application of SPF is already very good for your skin! Thank you for your time, Maja! I KNOW. That was something! Maja and me really nerded out there for a second… but isn’t it interesting to have an in-depth at other people’s skincare routines and maybe incorporate some new stuff to yours? Let me state for the record that Maja really does have gorgeous, nearly-immaculate skin! I personally learned a lot from her – for instance how to layer my products correctly. And I realised that I can up my game when it comes to masks: SHEET MASKS, here I come! The only downside to this is that I can’t talk for 15min when wearing the masks… but I’m pretty sure my husband isn’t too bothered, ahem. Thank you so much for joining us, and if you have any specific questions, just leave a comment down below. Maja said she’d be happy to help you guys out on your quest for the perfect active! P.S. : All product recommendations are based solely on our own personal experiences and preferences. None of the included brands sponsored this post in any way!